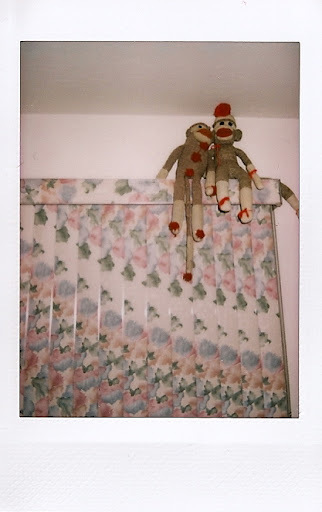 whether or not you’re a valentine’s day fan, you can’t really say you hate love, so here’s a love story for you: when my dad met my mom, he had a sock monkey from his childhood. when my mom met my dad, she had a sock monkey from her childhood. my mom & dad fell in love, and so did the monkeys. now they sit atop the sliding door in my parents’ bedroom, keeping each other in good company. This entry was posted in color, instax, ps, sentences by Alison Kranz. Bookmark the permalink.